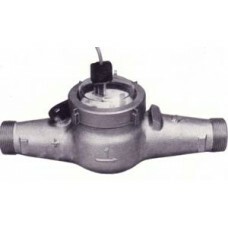 Seametrics is a water meter manufacturer providing water measurement and reading solutions to all of our customers. We offer a wide range of sizes, configurations, accessories and special application meters. 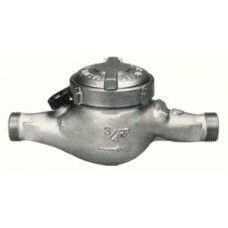 1 inch, totalizing, cold water, bronze, 50 GPM View manufacturer specs here ..
1 inch", contacting head, cold water, bronze, 50 GPM / 10-GPC Contacting Head View manufacturer s..
1-1/2" Totalizing, Cold Water, Bronze, 100 GPM View manufacturer specs here ..
1-1/2 inch", contacting head, cold water, bronze, 100 GPM / 10-GPC Contacting Head View manufactu..
2", Totalizing Water Meter, cold water, bronze, 130 GPM View manufacturer specs here ..
2" Cold Water Meter, bronze, 130 GPM / 100-GPC Contacting Head View manufacturer specs here ..
3/4 inch", totalizing, cold water, bronze, 20 GPM View manufacturer specs here ..
3/4 inch", contacting head, cold water, bronze, 20 GPM / 1-GPC Contacting Head View manufacturer ..
4", contacting head, cold water, bronze, 1100GPM / 1000-GPC View manufacturer specs here ..